Asthma has become the most common chronic disease among children and is one of the major causes of hospitalization among those younger than 15 years of age. 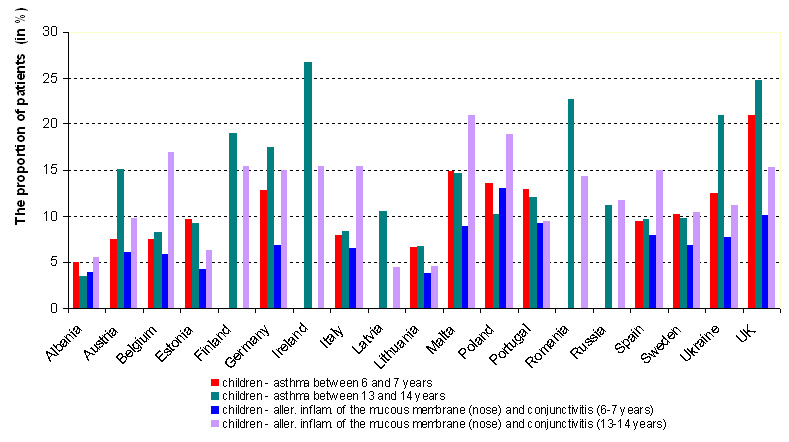 In 1999-2004, asthma prevalence in children in EU varied from less than 5% to over 20%. 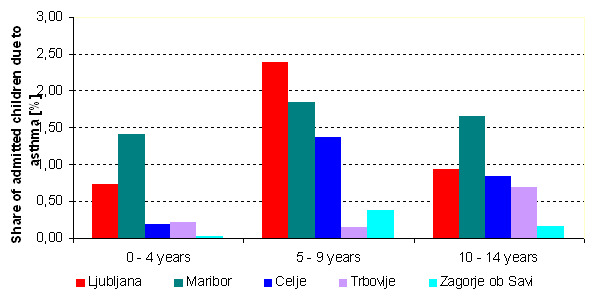 As more and more people are sensitive to allergens, allergic diseases may increase in the Europe in the coming years. Recent evidence supports a causal relationship between exposure to air pollution and exacerbation of asthma, mainly due to exposure to particulate matter(PM10). Database of the Institute of Public Health, 2013.